Buy this item and earn 24 points valued at £0.24. 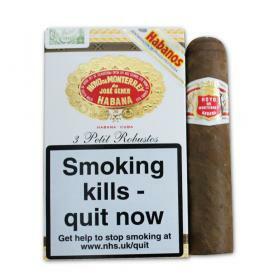 Winner of the DFNI Product Awards in the Tobacco Category for the Best Tobacco Launch in 2005. 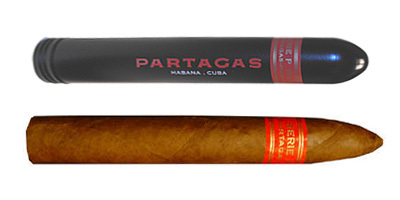 Partagas power in a Torpedo. Great spicy cigar that develops in power and rich aromas throughout the smoke. I love the evolution of flavours that is very smooth, and the conical tip that serves as a flavour enhancer. Beautiful fresh wood and crushed pepper and an underlying creaminess are present throughout in a balanced, well poised cigar. Ring gauge: 52. Length: 15.60 CM / 6.1 inches. THE FIRST TUBE PIRAMIDE IN THE UK. 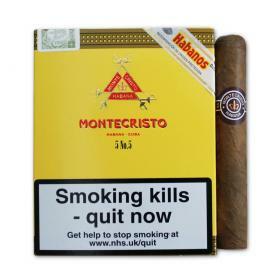 The 3 cigar pack is supplied in the box in the photograph.